The next market in our Network Vision/LTE deployment schedule update series is a place where things are just starting to get hopping...Miami and South Florida. This is the first Second Round market we have written up in this article series. The Miami/West Palm market has yet to be announced by Sprint, but is expected to be announced in the near future. Perhaps around the time of the first market launches. The Sprint Miami/West Palm market covers basically all of South Florida, from West Palm Beach to Key West. Dade, Broward, Monroe and West Palm counties. Sprint's Network Vision OEM Ericsson began mobilizing in this area with its subcontractors in May and has been actively working throughout June thus far. To date, there are no completed and active Network Vision sites in the market, but there should be pretty soon. Network Vision work in Miami/West Palm market. A site receiving Network Vision overhaul in Homestead, Florida in June 2012. Photos courtesy of S4GRU Member flycuban. It was Sprint's original plan to launch markets when they reached 50% of sites converted to Network Vision. 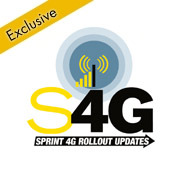 However, it has now been determined that Sprint will move up launches sooner than 50% completion in several markets. This is likely to maintain a Mid 2012 launch in markets that have already been announced. However, in an unannounced market like Miami, we don't know if they will resume pushing back market launches to 50%, or if they will now settle on a 40% completion to be the new normal for market launches. If Sprint waits for 50% completion to launch the Miami/West Palm market, it would make the launch month to be November (should Ericsson stay on schedule). If they plan on a 40% market completion for launch, that would be October. You may think that 40% - 50% site completion is not enough to launch LTE service, but it would provide pretty good coverage. Even Verizon doesn't launch on all sites in a market initially. Usually less than 50%, then filling in with more and more sites every few months. We currently do not have a date that Sprint will formally "launch" the Miami/West Palm market. It is really hard to call at this point, but the schedule as of today would indicate an October or November market launch (going on a 40% - 50% completion for launch). But there is no way to know if Ericsson and their subcontractors will actually hit their schedule dates this early in the deployment for this market. We will be able to gauge better after a few months of production. Ericsson will only need to hit a production rate of 65 sites per month to stay on schedule. This seems like a reasonable rate, compared with how some other Ericsson markets are going along. The Atlanta/Athens market has hit rates beyond this. And the Chicago market has been able to hit 50 sites in a week at times, but that market is being handled by Samsung and a different subcontractor base. Photo of Miami provided courtesy of Wikimedia Commons. Exciting! Any news on North-east FL? It's coming soon. I'm publishing articles in Launch order. Because NYC is such a large market, it is launching after some of the smaller early 2nd Round markets. Holy crap this friggin blows! According to the top left map in this article, in which I live to the South West of the "B" in Pompano Beach, Sprint skipped all of Central Broward? There is a huge area, exactly where I live as you can see the big hole in coverage, in which no towers will be refit? Why would they do this Robert? I live just east of the Ronald Regan Turnpike and Oakland Park Blvd, are there any towers near there going to be fixed Robert? Thanks. Thanks for getting back to me Robert. You are assuming Sprint laid out a schedule where they hand picked which sites will be blessed first. This is not the case. The biggest factor in the site order is backhaul availability. If you see an entire area without coverage at market launch, it most likely is that getting backhaul at those sites is going to take longer. The site map is only a snap shot in time around the projected launch month, using the schedule. Deployment is not stopping at launch and will continue at full speed until the entire market is complete. Those sites you are referring to may even be in the week after launch in the schedule. Also, sometimes they get ahead of schedule. Like is occurring in Chicago. 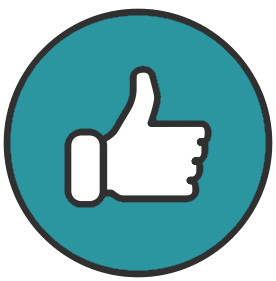 This article only contains information that is available in the schedule at this time. I would not get over excited about any specific data. Thank you so much for the info Robert as you are doing a service for free which Sprint SHOULD BE doing for their customers. I really appreciate it and you should be commended for taking time out of your schedule. I'm just so aggravated with Sprint. No offense Robert but I was told at the 4G WiMAX launch that my area would be eventually added and years later guess what: NADA! So you can understand why I can't give Sprint the benefit of the doubt. I can't see why backhaul would be an issue here as we have a lot of businesses which use high capacity lines though out my neighborhood? Arggggg! It's not that there is no backhaul in the vicinity. But rather, Sprint has hired several backhaul vendors. And, for whatever reason, whoever the backhaul vendor is in your area will not be ready at the front end. it could be because they have to set up a microwave ring. It could be they are waiting on specific fiber trunk line in that area. I have no specific info in this instance, but these are the types of issues I have seen when a very specific area seems to be omitted prior to launch. But can't you understand Robert why I am frustrated with Sprint? Imagine buying a new 4G phone with Sprint (new customer with OG EVO) and being told 4G WiMAX will be releasing in my area "soon". Then it releases but misses my area and is very spotty in general. Then after I called and complained many times they would always say they are expanding WiMAX but that it would take time to do it. Flash forward two years later and nothing! I still can't get 4G even if I stand outside on the highest building in my neighborhood. I've used 4G a total of three times in two years! Then comes 4G LTE and Sprint says again coming soon. Well, I'm really the only idiot because I believed them again as everyone was telling me they really are trying to get their act together and I fell for it. What is that old saying, "Fool me once, shame on you. Fool me twice, shame on me". Man a truer word could not be said in a jest. If you're so unhappy with Sprint, why don't you pay your ETF and leave? I'm sick of reading your complaints. EDIT - Also, you're not happy that your location is one of the early launches, you're somehow upset just that the sites directly around where you live won't be completed by market launch? You do realize that those are just the sites estimated to be completed by launch... right? I feel like you're reading into the map that those are the only sites being updated, period. If you were in a 3rd round location, your head might explode! I do understand why your are frustrated. However, I do not understand why you put up with it if Sprint doesn't meet your needs. I also am not crazy about repetitive complaints all over our pages. I provide information that I receive for your benefit. Hopefully it helps you to make decisions that are best for your circumstances. If you're so unhappy with Sprint, why don't you pay your ETF and leave? I'm sick of reading your complaints.EDIT - Also, you're not happy that your location is one of the early launches, you're somehow upset just that the sites directly around where you live won't be completed by market launch? You do realize that those are just the sites estimated to be completed by launch... right? I feel like you're reading into the map that those are the only sites being updated, period. If you were in a 3rd round location, your head might explode! I reserve the right to complain and I have help multiple people on this site with other issues, in which I even have a higher site status then you. What is the internet for if not then but to complain and help others? Edit, to respond to your edit: Going on previous history Sprint said my area would continue to add WiMAX sites which never happened. They released the WiMAX network and NEVER did any work to add more sites or fill in the holes. So yes, excuse me if I feel like perhaps Sprint will do just like last time and release the network and be done with it. And I never got WiMAX so I consider this their original agreement of them providing me with what I have been paying them for almost two years, nothing new nor early in any way (late in fact). Our news articles will not be allowed to be places for member disagreements or Sprint complaints. You can complain to Sprint directly, we will not be the host for that. The internet may be open, but S4GRU is limited in its scope. Please refer to our posting guidelines. Hmm, I seem to remember being told that since my city was a "pre-wimax" Clearwire market, it would be a quick conversion and we would have 4G. We never got 4G, not even 1 tower. That was Clearwire and not Sprint. I don't blame Sprint for WiMax, it could have been great for them, and great for Clearwire, if it would have worked. Clearwire overestimated the amount of retail income they would have coming in. In my opinion, they took the ratio of customers/population in the areas that they currently offered service and transferred that to the major markets that they were expanding. The problem was that they needed time to convert customers from other carriers, they didn't get the influx of new retail $$$ and they fell on their face. They didn't have the capitol to expand to new areas or enrich coverage in the areas they currently offered service. 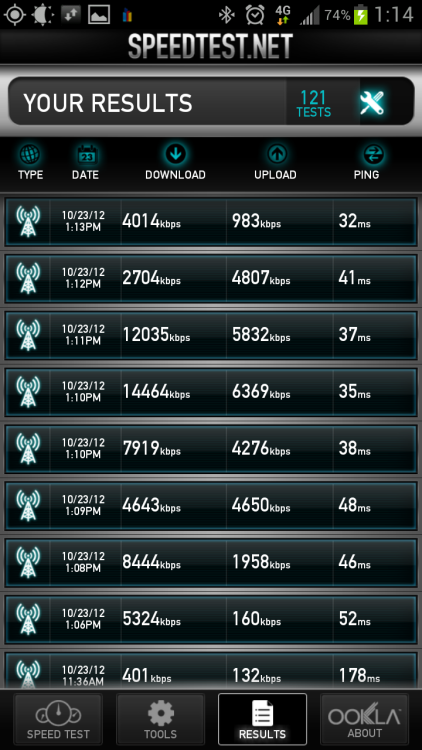 Because Sprint's name was on the devices offering 4G service from Clearwire, they took the pounding. Then, the traffic on their 3G infastructure was never releived by Clearwire's WiMax, resulting in overuse of that network and it couldn't handle it. Shouldn't you be more concerned with the Zombie epidemic that is going on in Miami than your data coverage? LMAO pyroscott! Yes Zombies are taking out my neighbors one by one but that is why I need Sprint to get moving as I need a signal to stay connected to my party! I saw a "Support Zombies" sticker on a car the other day in the shape of a breast cancer ribbon, lol. And you're 50% correct BTW. ClearWire screwed Sprint but Sprint had enough influence (and stock shares) to keep them on their toes but they let everything fall apart and mismanaged just a bad as Clear. I mean look at Sprint's network now which is total business mismanagement 101. Any news to report on this market? Anyone seen any LTE connections popping up? We have heard reports of work being seen at sites, but no confirmation of live sites yet in this market. We expect some this month still. There have been recent reports of people getting LTE at Sun Life Stadium and around NW 183rd Street and NW 47th Ave in Miami. Another person reported LTE activity in Boynton Beach, Fl. I hope that Broward County sees some LTE Love soon....:-(. I got a signal today in Aventura. It grabbed the signal a couple of times but i didnt get any data stream from it. But it was the first time i got an LTE signal! LTE Popping up on Flagler and in Miami Gardens! Looked on Sensorly today, a little line in Deerfield, a dot in Boynton Beach and LTE south of FLL all the way to Homestead...they're moving fast! I hope to get some LTE love in near NE Ft. Lauderdale soon.